She already had a wedding on our wedding weekend but fit us in because she knew we needed someone last minute. 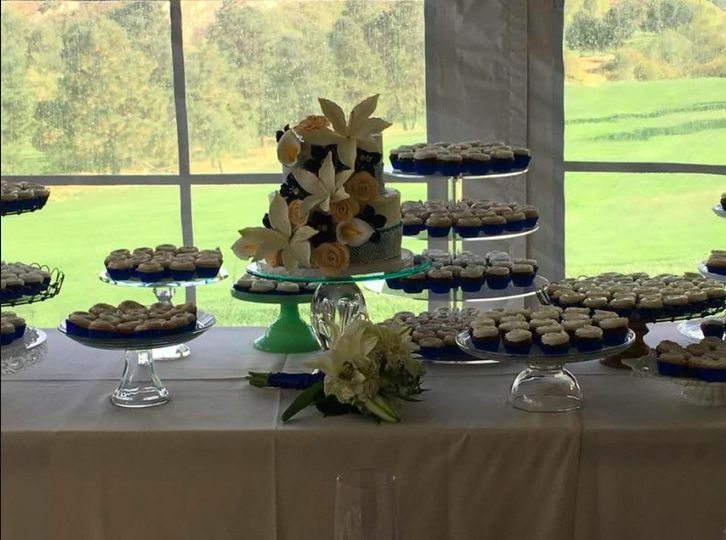 We wanted to take our top tier home for our first anniversary. It’s a good think we took it away because the rest of the cake was devoured! Most guests had seconds and raved about it all night. 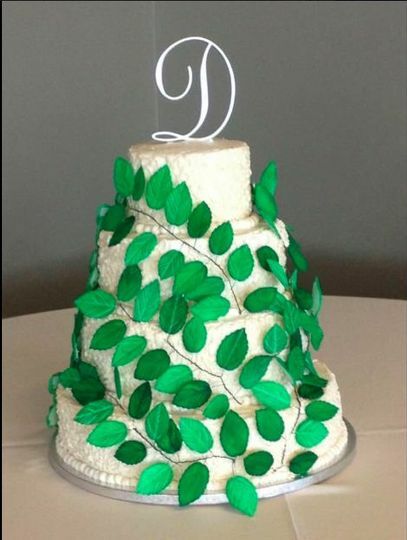 Our 2-tier wedding cake was customized made to our exact specifications. The venue was at a Mexican Restaurant. 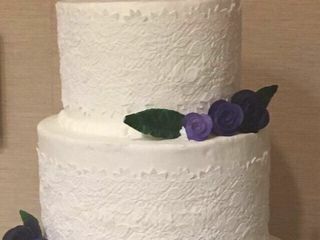 We asked Rosie for a cake with lemon flavor and she provided flavors that ended up being truly a "spot-on hit" with FRESH flavors of real lemon and real vanilla. 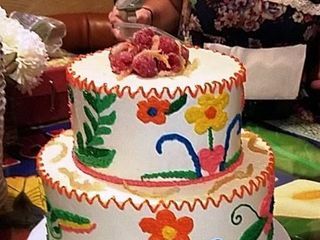 Rosie provided photos of her work and we were able to make a choice that was perfect for our theme of Mexican Wedding Cake. 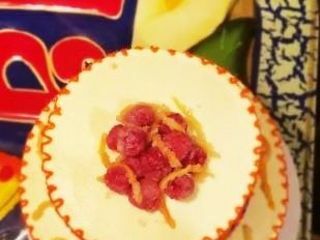 Rosie decorated with her wild colors (as requested), while we added sugared raspberries and lemon & orange peels on top. She sent me a cake cutting guide so we were able to get the full amount of servings from our cake. I contacted Rosie through Facebook. She was always responsive within minutes, no more than one hour's wait. She and I did the entire order via FB Messenger, no phone calls were necessary. I live quite a distance from her and she was accommodating and arrived at set time when we met to pick up our cake. 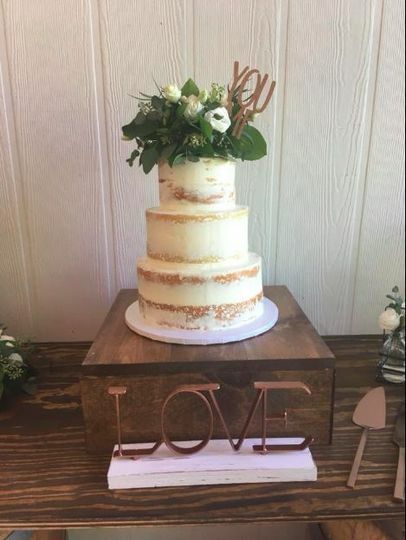 My wedding cake could not have been more perfect! It matched my colors perfectly and the taste was even more spectacular. 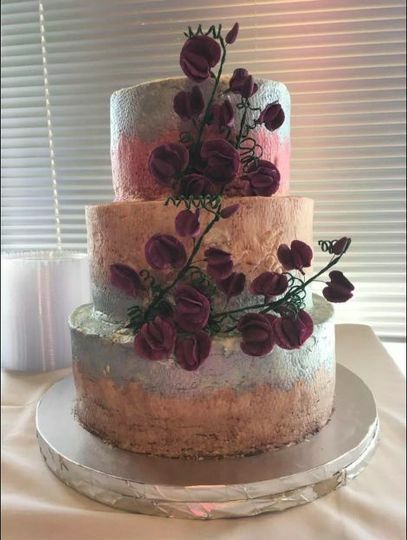 I couldn't have asked for an easier cake designer to work with. She created exactly what I wanted and it was even more perfect than I could have imagined. 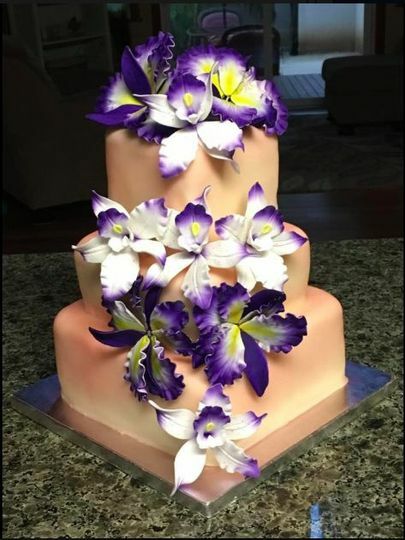 The flowers looked real (everyone thought they were), matched our flowers perfectly, but they were edible! Right out of a fairytale. Worth every single penny! Would have paid double!